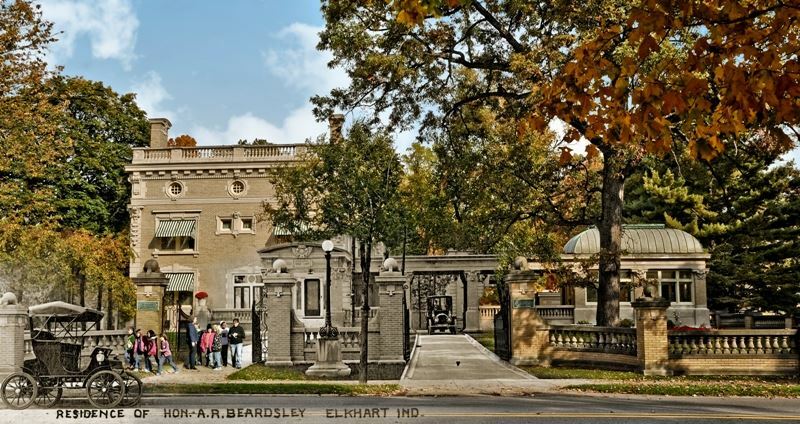 For more than 40 years teachers have been bringing elementary aged students to Ruthmere to learn firsthand about the history of Elkhart and explore the world of arts and culture. Today, Ruthmere Campus has two sites for students and teachers to explore, Ruthmere Mansion and the Havilah Beardsley House. For more information about the program, or to become part of an annual Elementary Ed Field Trip tradition and book your tour, call Curator Jennifer Johns at 574-264-0330 ext. 104. Through the generous sponsorship of the Community Foundation of Elkhart County, Junior Achievement of Elkhart County/Lemonade Day, George and Kathy Freese and Tom and Dottie Arnold, Ruthmere is pleased to offer field trip assistance to the first 2,000 students 3rd - 5th grades residing in Elkhart County and ANY COUNTY immediately adjacent to Elkhart County in Indiana or Michigan. The sponsorship pays for the tour experience for students, accompanying teachers and one adult chaperone for every 8 students. Additional adult chaperones are admitted at the group tour rate of $7 for Ruthmere tour, $3 for Havilah Beardsley House tour or $10 for full campus tour. -$150 per student group that brings 51-100 students over two separate dates. -$100 per student group that brings 51-100 students on a single date. -$75 per student group that brings 25-50 students. -$50 per student group that brings 5-24 students. -Off peak bonus of $50 given to schools that schedule their field trip during an off peak months of July, August, September, October, November and December. All Elkhart County school tours (public, private and registered home schools) include a student membership valued at $25 per year, that goes to every participating student. These student memberships are valid from the day of the student's field trip until their high school graduation.